Welcome to Everything you ever wanted to know about Hemp! Why do an entire post on Hemp? Because Hemp is fast becoming one of the most popular components in diaper making and it happens to be sustainable too. The problem is that it's controversial and there are many misconceptions regarding this amazing resource. Hopefully this post will shine some light on the truth about Hemp and help us all understand it's place in our lives. Let's first address some of those laughable yet serious questions that most people may have about Hemp. If it's Hemp can I smoke it? This seems like a silly question, people really aren't going to try and roll up their hemp t-shirt or diaper and smoke it, but in theory they wonder "Are hemp and marijuana the same thing? The truth is that hemp plants and marijuana plants are NOT the same. Both the marijuana plant and hemp plant are of the same species but must be grown to produce entirely different plants to yield the desired results. Marijuana plants are desired for their leaves and/or buds and are therefore grown to be "bushy." Hemp plants grown for their fiber and edible seeds are cultivated to be stalky plants with very few leaves. Finally, marijuana results in a crop with high levels of THC while hemp plants contain only trace amounts. What makes Hemp perfect for cloth diapers and clothing? Well as far back as Christopher Columbus people have been using hemp because of it's superior strength and durability compared to other fibers. It is one the fastest growing renewable energy sources and requires little to no pesticides and no herbicides, unlike cotton, which makes it a super eco-alternative. It also produces more protein, oil, and fiber than any other plant on earth. Hemp is also superior in it's absorbency compared to other fibers. When compared to cotton it was able to absorb at least 50% more liquid and required much less mass which makes it a super absorbent AND trim alternative. Hemp is also naturally anti-microbial! This provides a natural protection against mold, mildew, undesired bacteria and other fungus. This is a huge perk and a valuable trait, especially for cloth diapers and inserts. So, now you know why Knickernappies thinks Hemp is the perfect choice for use in some of their most popular products! You can find Hemp in a variety of Knickernappies items like Loopy Do's, Super Do's, Just Hemp Doublers, Stay Dry Hemp Doublers, Hemp Prefolds, Stackable Mama Pads, Reusable Nursing Pads & More! We hope this post has helped you view Hemp in a whole new light! I love hemp! I don't know if I would have had the confidence to use cloth at night if I didn't find hemp doublers. They kept the diaper absorbent without being really bulky. So far as I know Hemp is not allowed to be legally grown in the US, which means it has to be imported. This is really unfortunate, due to all the mentioned misconceptions, and hopefully will change in the near future. My husband and I were talking about this yesterday. We haven't tried hemp diapers, but are intrigued by the absorbency. Either I forgot to change my kid, or she peed through a diaper in half an hour today. That is starting to worry me a bit. Ack! May have to do some more research! I have always loved hemp in my diapers, great post! Julie is right...hemp products are more expensive because it can't be grown in the US. While most cotton is also imported, buyers do have the option of locally grown cotton which keeps the price down. 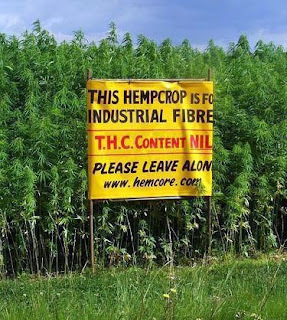 Hemp, on the other hand, the growers can charge whatever they want because we have no other source for it. Canada has just recently won the right to grow hemp, so hopefully a more local source will soon be available! Wow! This is really informative, thank you so much for this!